From stricter laws to public service campaigns and pleading electronic road signs, states have a message for the drivers clogging the inside lanes of the nation's highways: Get the heck out of the way! Few things infuriate drivers more than a car or truck in a highway's left lane that isn't keeping up with the flow of traffic. "Why has no one ever told them this is not what you should do?" Stagner asked. "I think it creates road rage. People get upset and then it becomes combative." Oklahoma's law, which took effect Wednesday and requires drivers to stay to the right unless passing or preparing to turn left, carries fines of more than $200 for left lane dawdlers. "I believe it has caused some road rage incidents," said Trooper Dwight Durant, a spokesman for the Oklahoma Highway Patrol. "It's caused some collisions with property damage, personal injury and even death. We're hopeful this new law will cut down on that." "Camp in the Ozarks, not the left lane," one recent message read. In addition to its new law, Oklahoma has erected 234 signs warning drivers not to "impede the left lane." In March, the Michigan State Police launched the "Southpaw Initiative," in which violators were pulled over and educated by the trooper on the left lane law and how driving slowly in it disrupts traffic flow. Most of those stopped were let off with a warning. Sydnor said he was driving in the left lane recently in neighboring Virginia when an officer pulled him over. He told the officer he was preparing for a left turn. He did not get a ticket but said he was angered by the officer's condescending tone. 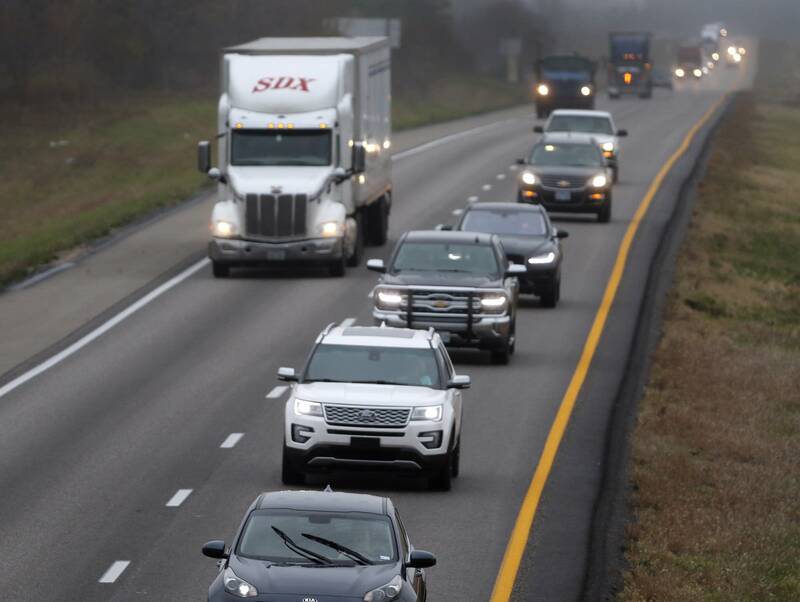 "Once you incentivize law enforcement to go after people in the left lane, it could be a pretext to pulling people over for no reason," Sydnor said. "There are times when the roads are very congested and people do get frustrated," she said.